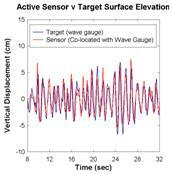 The aim of WP 2 was to develop and advance numerical and physical methodologies used to model wave and tidal-current converters. The numerical models were to be expanded to simulate multi-degree of freedom devices, extended into the time-domain and made more accessible to a wider range of modellers. Tank modelling techniques had to be developed to make the process faster, more accurate and repeatable. There have been several advances as a result of this work. A new technique was developed using Laplace transforms to formulate time-domain models of the response of floating wave energy converters. This has augmented frequency domains modelling and created the ability to experiment in the time-domain with non-linear control algorithms and device responses. A sloped wave energy device using a free water-reacting piston within a draft tube as an inertial reference for the power take-off system was examined as a case study. There was good agreement between the large body of results from tank experiments on this device and analysis with those from the WAMIT hydrodynamic analysis suite. WAMIT has now been integrated into a single graphical user interface that combines geometric pre-processing, surface modelling software, numerical analysis and graphics post-processing. Data files describing device shape may now be imported to visualise the device. The device can then be repeatedly reshaped with its description stored and its response predicted at each evolution. 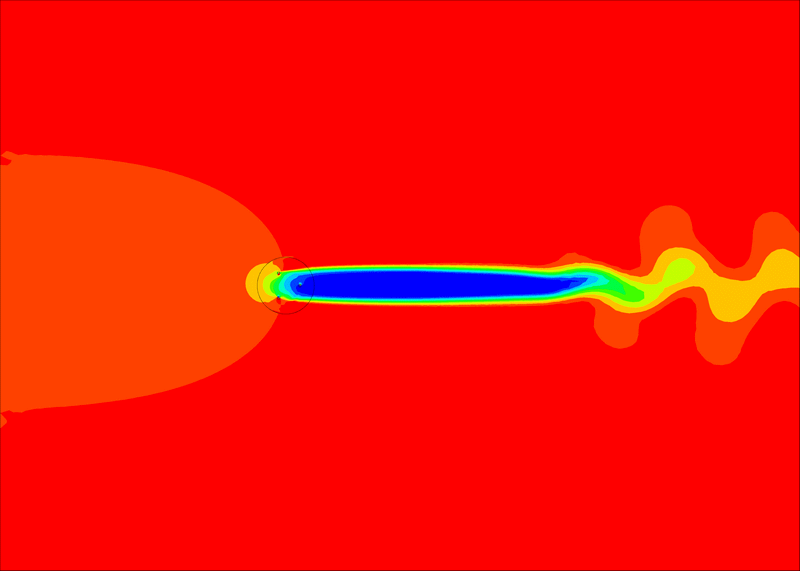 A detailed CFD model of a vertical-axis variable-pitch tidal-current turbine has been developed, meeting the challenge of obtaining high meshing resolution at the surface of the rotating hydrofoils but lower meshing resolution farther from the foil surfaces. 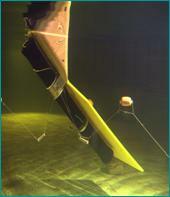 A software package was developed (MarinOPT) for macro-scale modelling of tidal current or wave energy devices. The model enables the assessment of the placement of generic wave or tidal energy converters in different sea environments to compare predicted delivered energy costs. A rapid calibration wave-sensor technique has been developed to avoid the frequent and time consuming calibration that standard conductive probe sensors need to compensate for water temperature and conductivity variation. This combines the use of a video based displacement measuring system and a remote controlled overhead crane, leading to significant time savings with multi-gauge arrays used for directional wave measurements. An extensive toolbox of GUI data acquisition, analysis and display applications was produced. Modelling the behaviour of wave energy models in tanks requires adaptable variable-constraint support mounts with dynamometer systems to simulate the forces associated with energy extraction. A detailed design study of a six-degree of freedom 'Stewart platform' for use in a multi-directional wave tank has been completed. A surge and heave rig has been refurbished, and its measurements conveyed by D-Space to a dedicated MATLAB control and measurement package. A novel 'wearable' shape-tape with optical fibre position and shape sensing has been tested in flumes and tanks to demonstrate its ability to measure and report wave profile to data acquisition software, with high correlation between reported and actual wave surface. There are many new software and hardware prediction and measuring techniques and equipment available for numerical and physical modelling of wave and tidal current energy converters at laboratory and full scale.